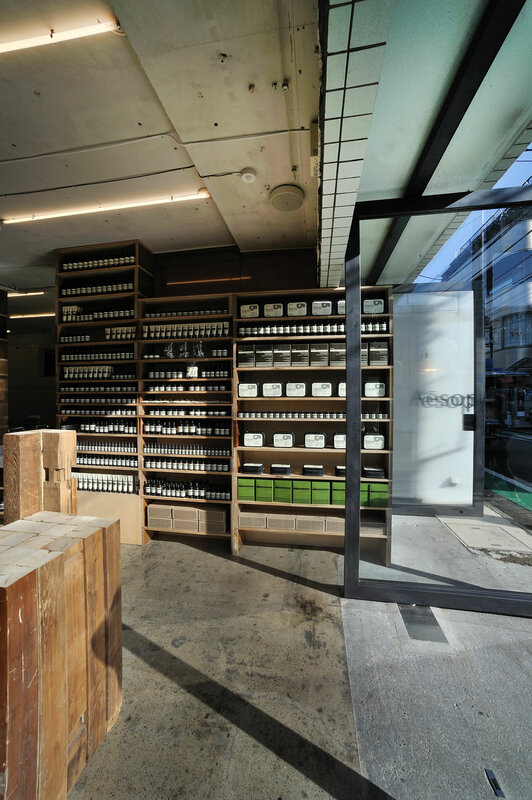 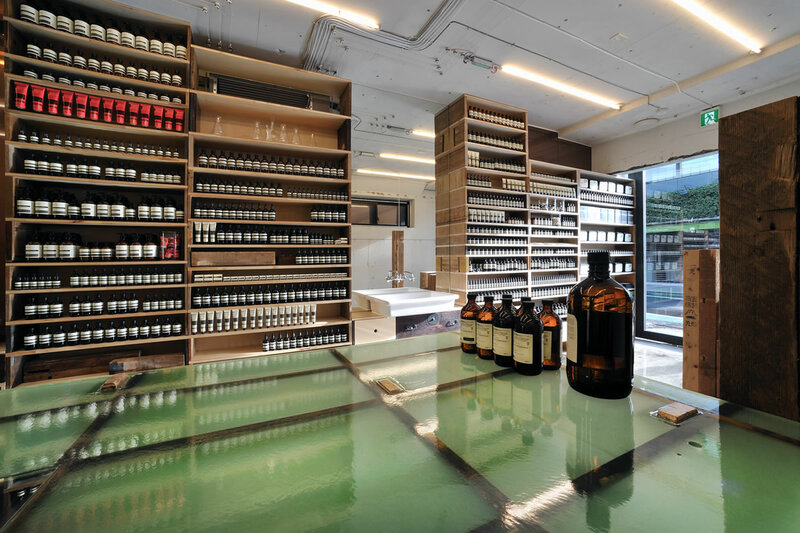 This is the first flagship shop/office of Aesop, a skincare brand from Australia, located in Aoyama, Tokyo. 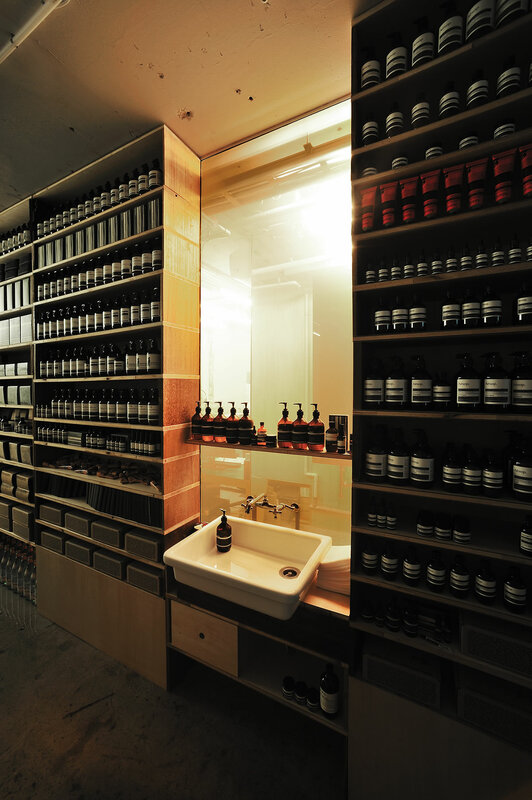 When I went to see their shop in Australia, I was particularly intrigued by the good combination of Aesop product packages and reclaimed wood materials, and thought of using reclaimed wood in our design. 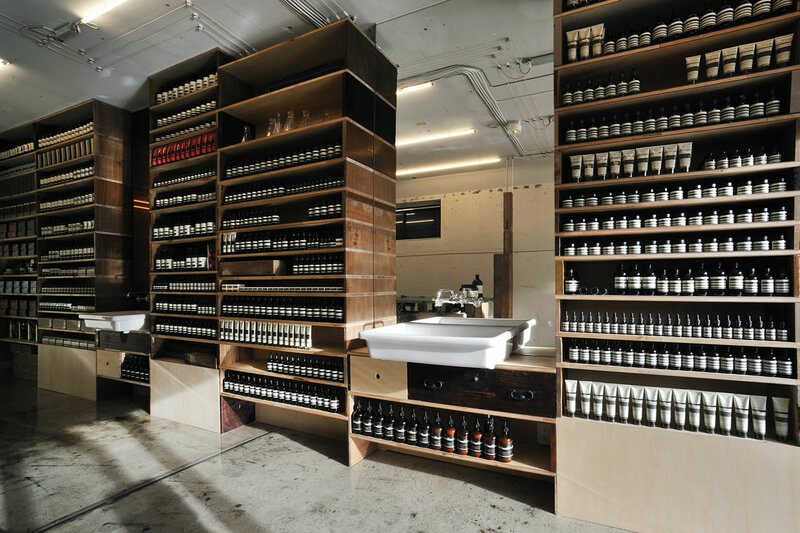 The first thing we did was to “design” a way to find reclaimed materials, because finding and ordering reclaimed materials from “catalogues” would be a very bad idea. 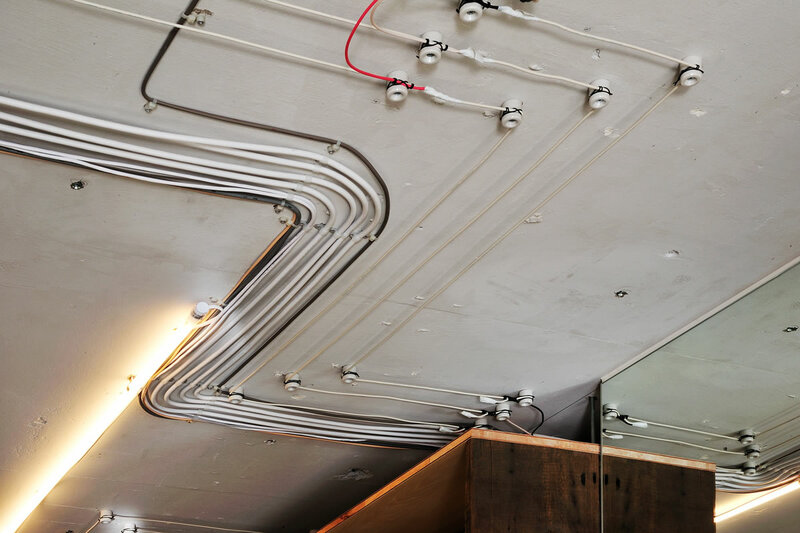 We decide to use reclaimed materials from a demolition site; and our contractor incidentally heard the news that a demolition was going on at a site in front of his own house. 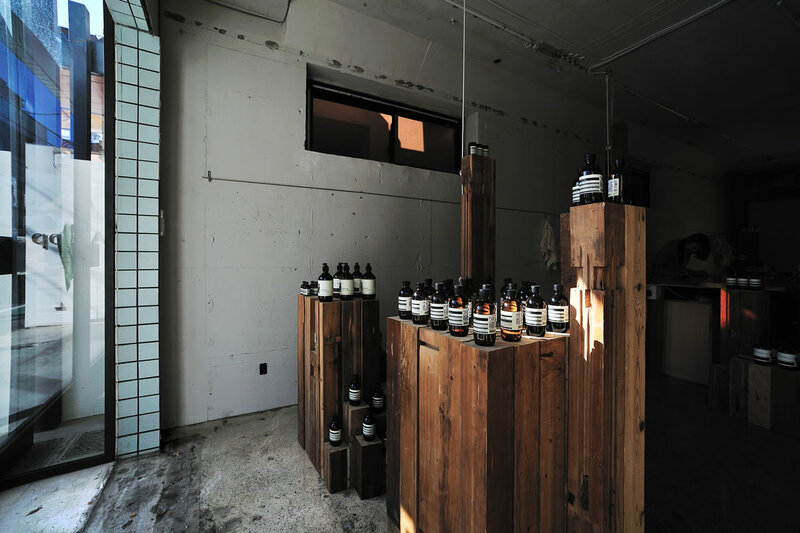 In no time, we rushed to the demolition site and brought back all sorts of materials including floor, stairs, columns, furniture and more. 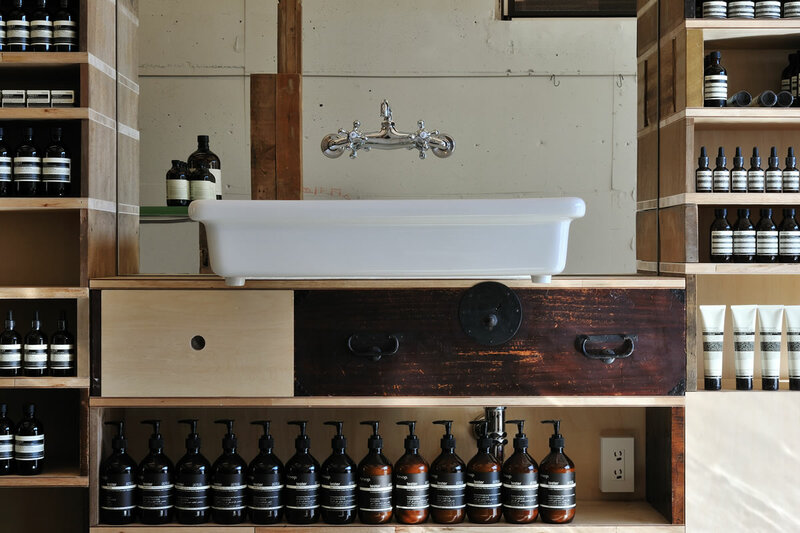 We built shelves that serve as partition wall between shop and office using reclaimed materials as vertical components, while new materials are used for horizontal members that require more structural strength. 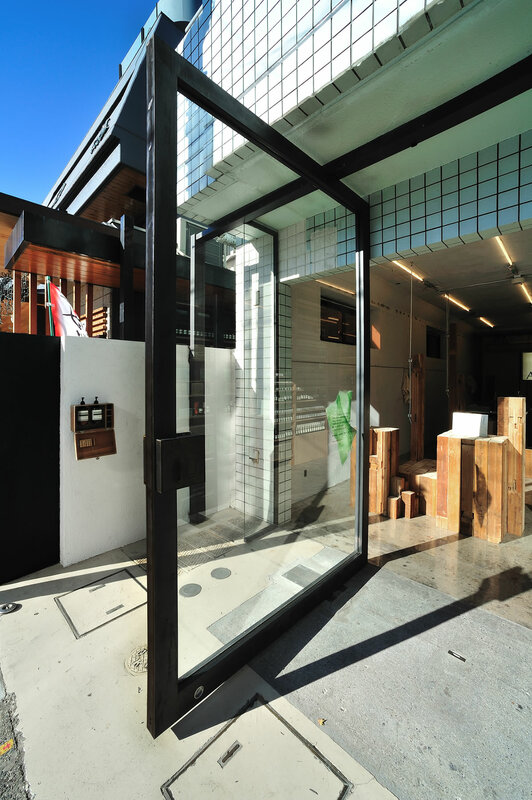 The front facade, showing various traces from the past on the surface, were kept as it was, and we covered the facade with a new window sash, blurring the boundary between the interior and the exterior. 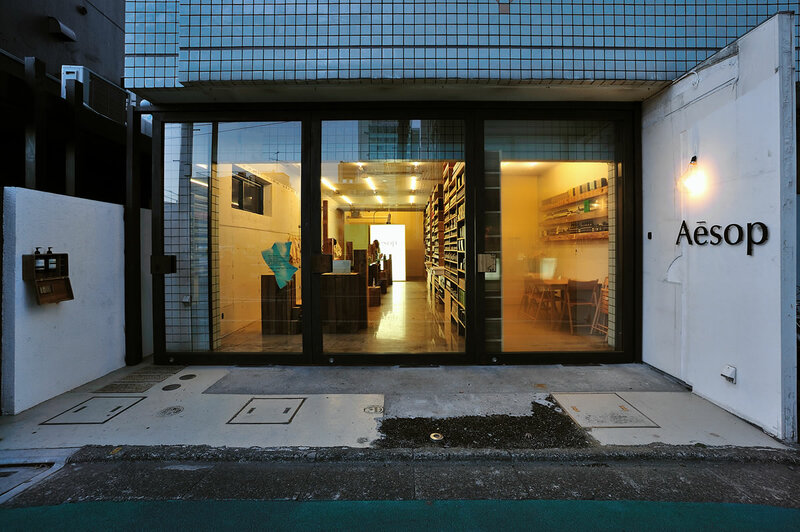 Viewed from the street, the new store looks as if it has been a part of the neighborhood for a long time.